Sao Paulo - Arena Corinthians 19.06.2014: Another new stadium was built in Sao Paulo for the purpose of hosting the 2014 World Cup matches. 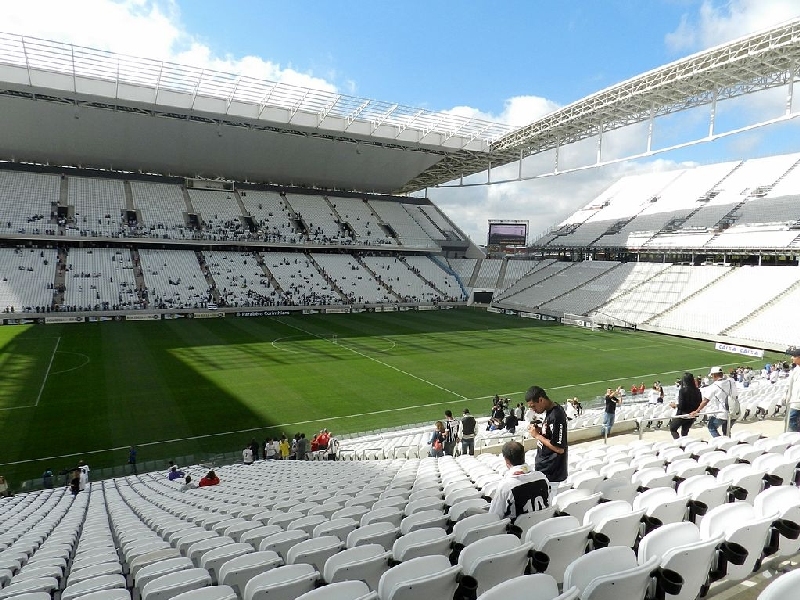 The construction of the Arena Corinthians, which has a capacity of 65,807, was completed in 2014. 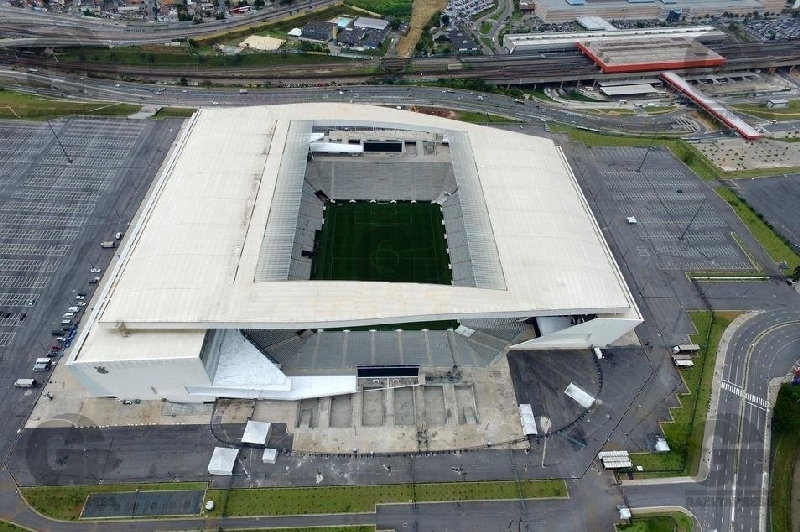 After the World Cup the stadium will become the home of the well-known Brazilian club SC Corinthians Paulista. The construction of this stadium was among the last of all the newly constructed stadiums to begin. Despite some serious problems, which occurred during the construction, everything is now ready for the World Cup matches. The construction was also faced with financial problems, which were eventually solved by a private investor who covered the majority of costs, and by other significant partners of the SC Corintihans. The total cost should not be more than 920 million BRL. The design of this stadium is completely different from the round design typical of most Brazilian stadiums, including the famous Maracana. The construction was begun in May 2011 literally on a Greenfield site. In the course of the World Cup six matches will be played at the stadium – four group stage matches, a round-of-16 match and a semi-final. 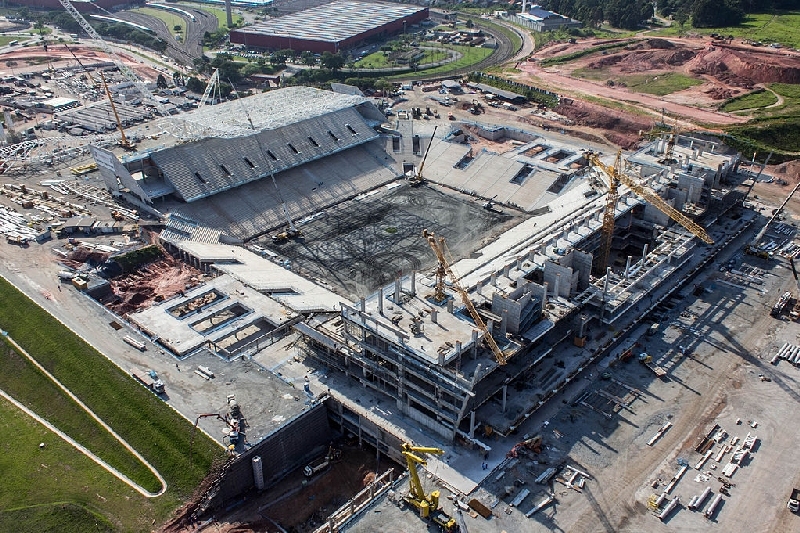 Construction Arena Corinthians (2011 - 2014): As the construction works drew to a close, an accident happened on 27th November 2013 in which two workers were killed. While lifting a steel frame a crane lost balance and fell on the outer parts of the East building. The steel supports damaged parts of the roof and the construction completion was thus threatened. Yet, in spite of this tragic accident the stadium construction was completed on time.